Jeff Gordon’s last race comes this weekend at Martinsville Speedway at age 45. He will drive the #88 with the name Dale Earnhardt Jr on the windshield. Martinsville, is a short track that has helped place the NASCAR driver in the series record books. Last season, it was the final season for Jeff Gordon. He needed a win to advance into the NASCAR Championship 4. Matt Kenseth went on to take out the race leader, Joey Logano. In a retaliation of Kansas Speedway, an incendent that set the NASCAR world of fire. 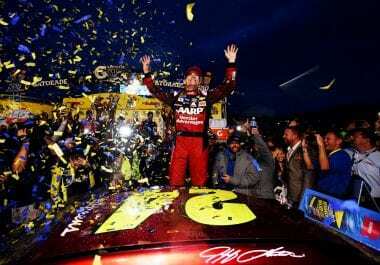 Jeff Gordon went on to benefit from that event, picking up the win at Martinsville Speedway. Granting his entrance to the championship battle in the final race. Jeff Gordon finished 6th at Homestead-Miami Speedway. In what was thought to be his final race. The finish also placed him 3rd in the 2015 NASCAR standings, his final full time NASCAR season. 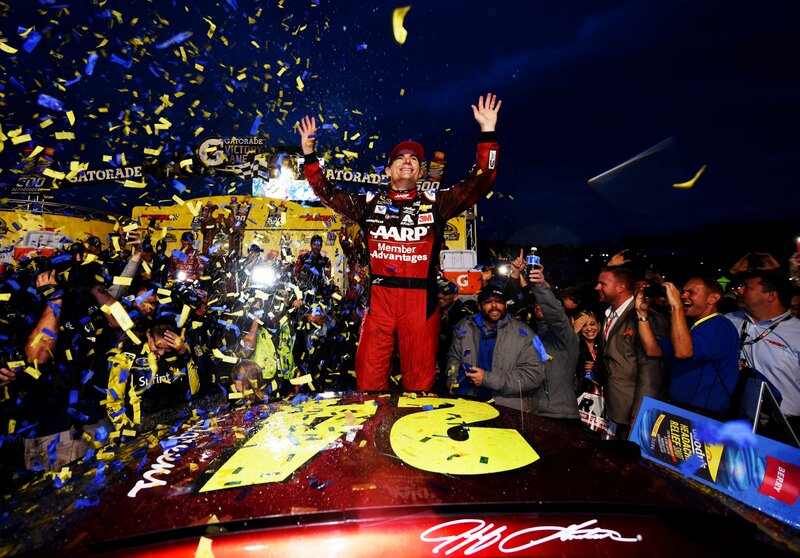 This year, Jeff Gordon was relaxed, settling into the retirement stage of his racing career. He’d already signed a deal as a NASCAR announcer like many legends before him. It didn’t look like we’d see Jeff Gordon get into a racecar again. Then, Dale Earnhardt was injured with a another concussion following a few early season incidents. Dale Jr was forced to climb for his #88 Hendrick Motorsports machine. Forfeiting the #88 seat to fill in drivers. Team owner Rick Hendrick selected Jeff Gordon and Alex Bowman as those fill in drivers. Jeff Gordon has now driven seven races in 2016. All from behind the #88 car. His eighth and final start in 2016 and probably forever, will come this weekend at Martinsville Speedway. This year, managed one top 10 with a best finish of 10th at Dover International Raceway. Though he did come close to getting two top 10’s, finishing 11th at Bristol Motor Speedway. Jeff Gordon now returns to Martisville Speedway for his second, final race. His career ends again, at one of his favorite tracks. The same track where he picked up his last win, of a 93 win total. 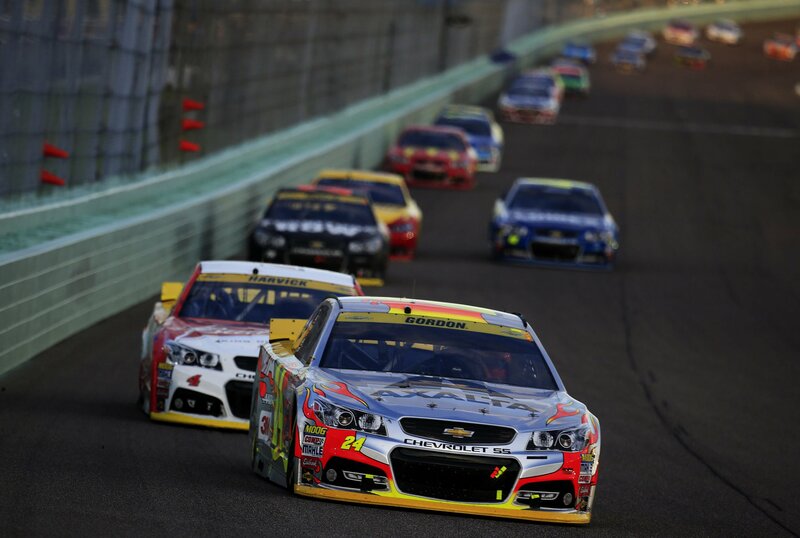 Jeff Gordon’s final race in the NASCAR Sprint Cup Series will take place October 30th, 2016. The NASCAR career of Jeff Gordon began on Nov. 15, 1992, at Atlanta Motor Speedway in Richard Petty’s final start. From 1992 through 2015, Gordon made 797 consecutive starts and racked up 93 wins, 325 top-five and 475 top-10 finishes in addition to his four championships. This is the 2nd time Jeff Gordon has had his final NACSAR race. And it should be noted that this is the final ‘scheduled’ NASCAR event for the driver.